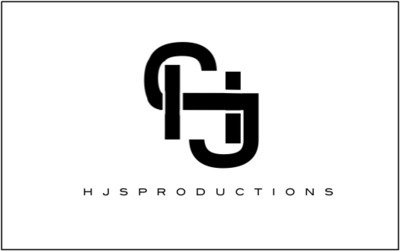 HJS Productions is a Michigan-born independent audio production company in Los Angeles, California dedicated to the satisfaction its artists and clients. They’re perfect for any musical project! Hoodhype.com is a show / podcast site dedicated to spreading the word about underground and independent hip-hop. They stream episodes from their site and can also be found on iTunes. Along with sharing music, they also conduct interviews with big names in the game. Not only are they making strides in providing hip-hop news, reviews and interviews that actually matter, they are a constantly evolving piece that caters to the listeners needs. They are real and they are hip-hop. MOLA1, JMACK and PHRO are the hosts, and you can find out more about them here! Keeping Michigan State University and the greater-Lansing area connected with the local hip-hop scene, The Vibe is more than just a radio program, it’s a necessity. Spanning 4 hours from 8pm to 12am every Saturday, DJ Riddle spins underground and mainstream hip-hop tracks, conducts interviews with figures in the culture and gives away prizes to listeners. The Vibe dates back to 1989 and is a staple in the local Michigan hip-hop scene and is listened to around the country via live stream. The Vibe is part of The Impact, Michigan State University’s radio station which is recognized as one of the best college radio stations in the country. Lovely Healthy isn’t just a site for yoga and health/fitness features. It’s a site that truly embraces the fact that we as human beings should be ourselves. Lovely Healthy is all about YOU, and that’s why it’s worth checking out and following. One time for you mind, one time. Also, check out that snazzy blog layout! Back Beat Magazine is an online webzine that shares perspectives on jazz and everything that it entails. Their slogan, “A Jazz Magazine. By Jazz Girls. For Jazz Girls.”, is backed by a resounding source of information, informative articles and interviews with artists. Educate yourselves and check this site out. “This is a blog is dedicated to creating an environment that is free from ridicule for every jazz lover, newbie and musician. We are not exclusive to female readers, rather, we wish to create a place that encourages an open perspective toward a co-ed jazz community. We welcome readers who are proud of their jazz heritage, their femininity, their masculinity, musicianship, knowledge of jazz history, jazz curiosity, or those who are here because they are proud of their friends, the writers! Each writer or contributor thus far is a female jazz musician, and they hail from all over the United States.